throughout rancid's music and lyrics, one of the most relatable themes you'll find is a deep love for music itself. i remember the first time i heard rancid - in 2003, when fall back down was being played on muchmusic. it was definitely different than anything i'd seen on muchmusic before, and i loved it. in hindsight, i think it's strange that i didn't find punk music earlier - i spent a laaaaarge amount of my teenage years exploring the internet. but really, it wasn't until working at cheapskates that i truly fell in love with rancid, and their music took an irreplaceable place in the soundtrack to my life. 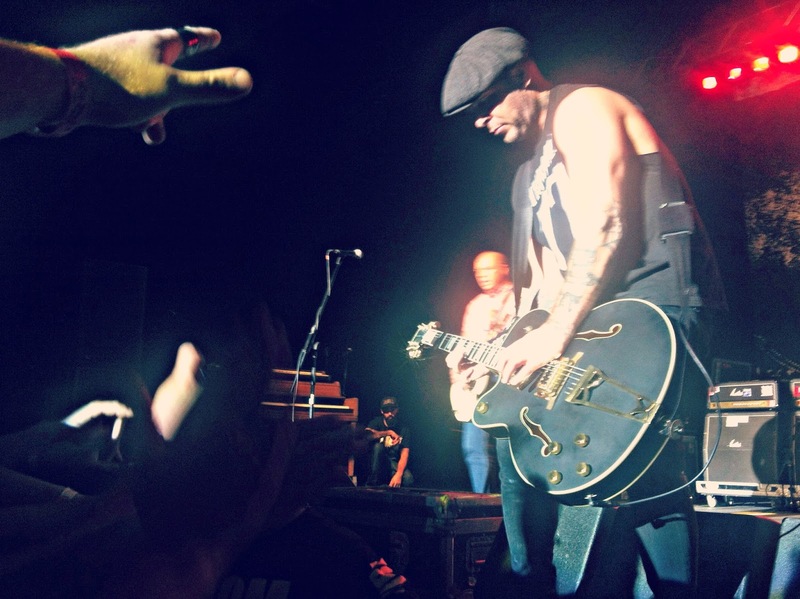 tim armstrong. you can't really get much closer than this! i suppose that might sound a bit childish, but to a girl who has so far considered music to be the love of my life, words like that feel like home. 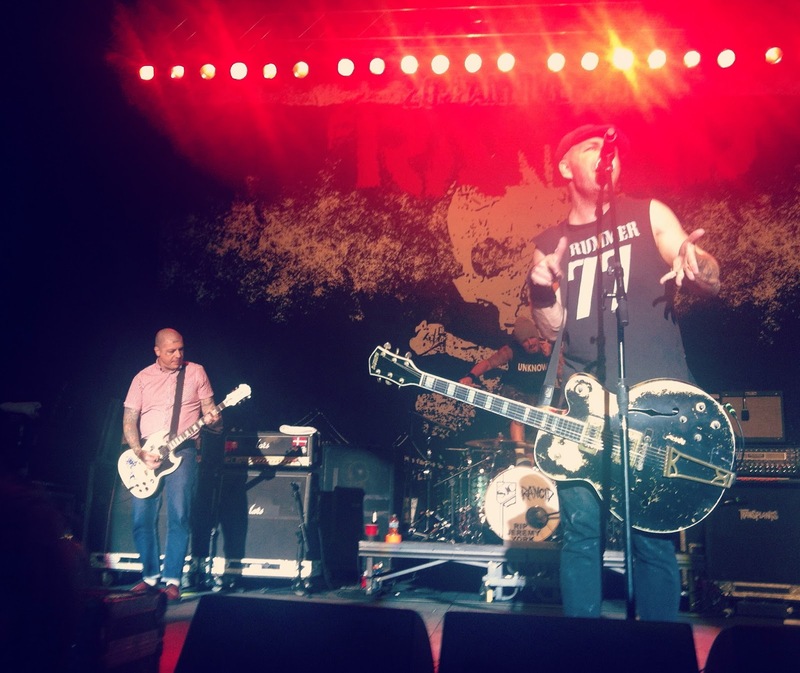 standard issue tim armstrong hand movements - love it! i'm not exaggerating when i say that the show was one of the best nights of my life. absolutely unforgettable. i decided to roll alone so i could geek out unreservedly. i got to the venue early, and managed to secure a place up against the fence, front and centre - there is absolutely nothing like singing along to songs that have become a part of your story, while the band is smiling right at you from a few feet away. there's not much more to say about the night than that - it was an experience that will stick with me forever. and i've even got a little physical memento, too. as the band was leaving the stage after closing the show with ruby soho, lars frederiksen walked straight over to me and handed me his guitar pick. i will be framing that business, without a doubt. in the words of leVar burton - you don't have to take my word for it. 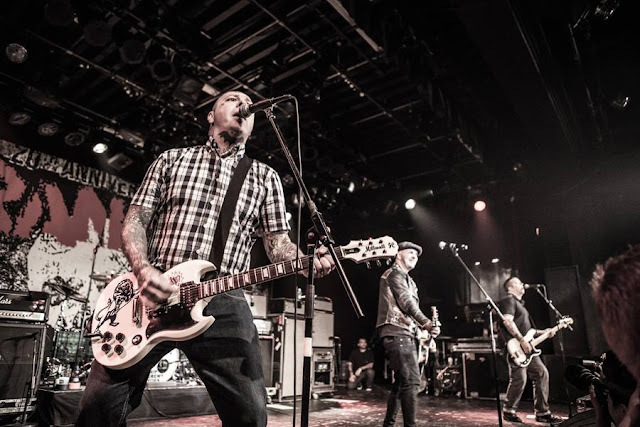 listen to a little rancid for yourself! 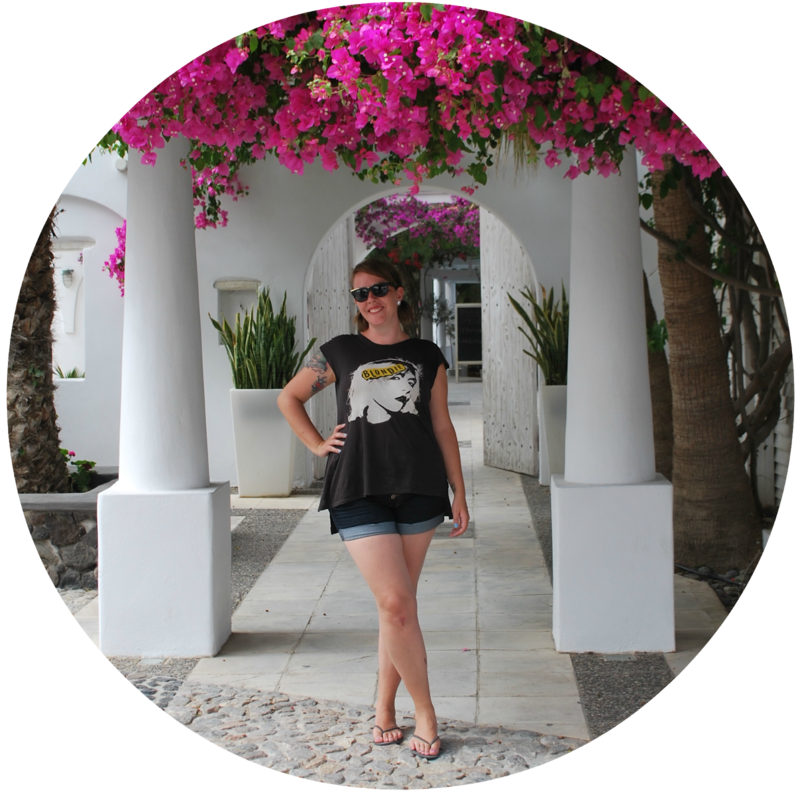 a lighthearted place to start is corazon de oro or old friend. ruby soho is a fan favourite, and olympia, wa has one of my favourite riffs. if you want to dig in to something a bit grittier, check out out of control or nihilism. 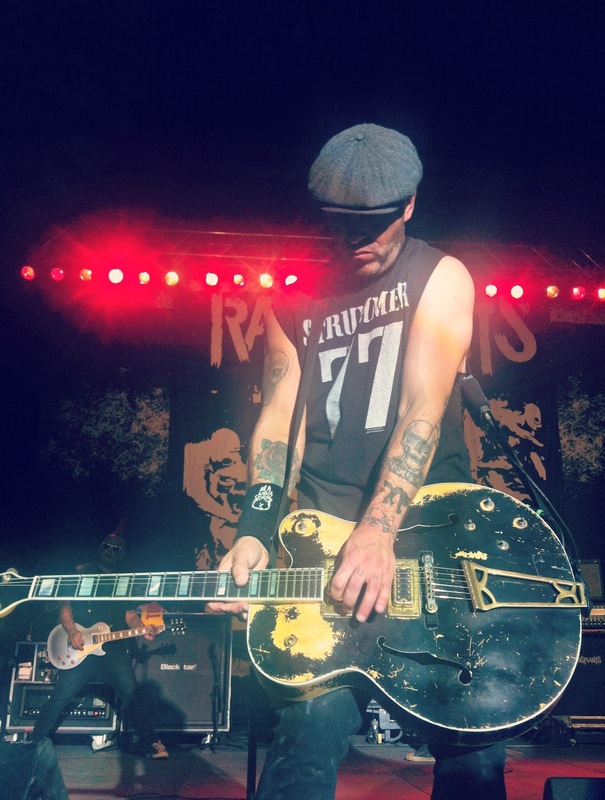 for those of you who have never listened to rancid before…. go on! i think you'll be presently supplized.